'Turbans And Tales’ authored by Amit and Naroop, directors and photographers, was launched at the National Army Museum. British actor Jassa Ahluwalia, magician Magic Singh, fashion designer Mani Kohli, property magnate Sukhi Wahiwala, world pool master Raj Hundal among other influential personalities came down to support the launch. The duo Amit and Naroop shared their four-year journey into the making of the book 'Turbans and Tales'. 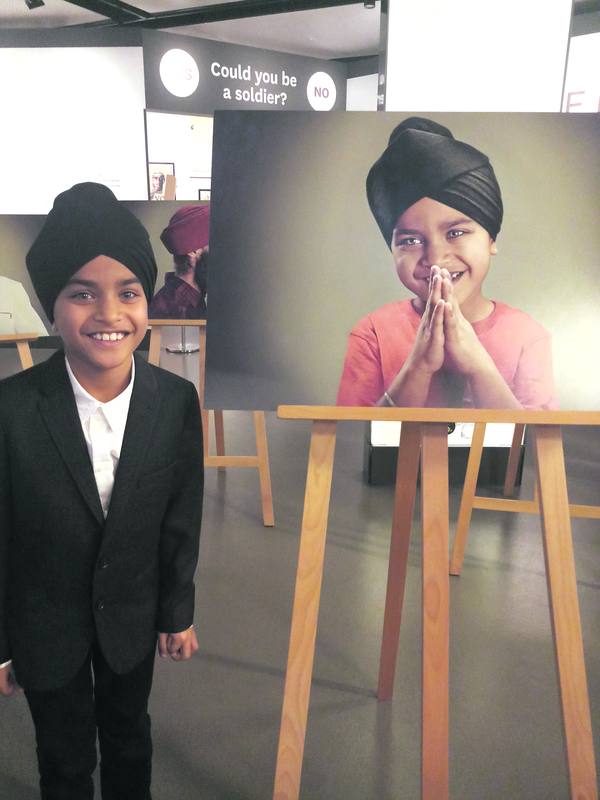 Showcasing 72 powerful images of Sikh individuals- Boxer to a magician- in Turbans from the UK to the USA this book aims at breaking the barriers of identity and perception alongside sharing diverse stories with the history of the turban. "'Turbans And Tales' looks at the contemporary turban in today's society. The National Army Museum’s rich collection allows us to track back to its origins worn by maharajas, soldiers, even British royalty, it has always been a fabric of Indian cultural heritage" said Jasdeep Singh, Curator at the National Army Museum. The book features Jasdeep's historical insight as well as images from the Museum's collection. Aside from celebrating the pride of the turban, Bhangra Dance London, the UK's Bhangra dance academy presented a special folk performance while Jaskeerth Singh (JGSK) delivered a rap performance "Turbans And Tales" entertaining the Sikh community gathered on the evening. Panel discussions with Magic Singh, Chaz Fly and Madhu Singh, known best for his performance on TV Show, Britains Got Talent also formed part of the launch ceremony. The portraits of "Turbans and Tales" have been exhibited in London and across America before, through “The Singh Project”, which saw over 7,000 plus visitors within 8 days in New York alone.